Tony Debevc Sr., a leading figure in the Ohio wine industry and Chalet Debonné Vineyards owner, died Thursday, December 30, at age 94. Debonne wines, part of Tony's legacy. ﻿﻿Chalet Debonné Vineyards was established by Tony and his son Anthony Debevc in 1971. Tony's father started planting grapes on the family farm as early as 1916, the same year Tony was born. Debevc lived most of his life on the family property in Madison where he was often found pruning and tying grapes or working the soil. "Tony will be remembered by many as a respected, innovative winegrower whose legacy includes a strong and dynamic family, great friends and fine wines with which to celebrate life," his family wrote in a news release. "Well before contemporary wind machines now seen in area vineyards were in use, during the 1950s he pioneered the use of World War II aircraft engines in the vineyards of Northeast Ohio for spring frost protection," the release said. Debevc also incorporated the use of systematic underground drainage tiling when he planted his first wine grapes in 1971, decades before the practice became commonplace. 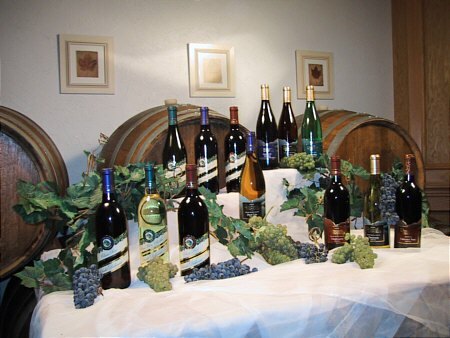 Debonne is one of the leading wineries in Ohio and Tony's innovations led the way for other area farmers to produce many of the varieties now successfully grown in the Ohio Grand River Valley wine district. A toast in his memory with Debonne wine would be appropriate.